Tall Racks Records and Red Bull Music South Africa had collaborated on a project that will see established rappers lift the up-and-coming ones by featuring them on tracks. The project goes by the hashtag #LiftAsYouRise. Established rappers at Tall Racks Records would drop some beats on which any interested up-and-coming artiste can jump. Those whose beats are especially outstanding will then feature on the songs that align with their beats. Tiga Maine and Kowbey Earlay are the winning artistes here so they get to appear on “Outside.” An interesting musical journey has just begun. Unfolding before the world is apparently something brilliant and beautiful to watch. Reapeat: beautiful to watch. The names Tiga Maine and Kowbey Earlay may not be flying about right, but is is only a matter of time before the name s are everywhere and right in your face. Their talents will take them place. 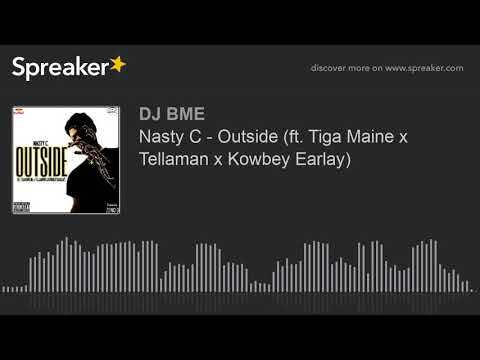 Tellaman and Nasty C are already up there and have collaborated on several tracks. “Run It,” “Rainbow Hoes,” and “Whipped” readily come to mind. 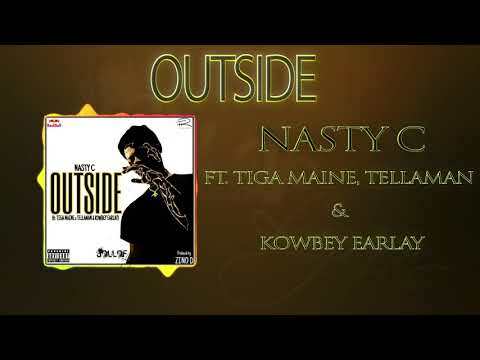 Stream and download “ Nasty C – Outside Ft. Tiga Maine, Tellaman & Kowbey Earlay” below, share on social media and join the conversation by dropping your thoughts in the comment section.